I spend way too much of my time talking about how we should do something to help the needy. Sometimes I feel like my job is to talk about doing ministry, trying to motivate people to get involved. For four days this week, I actually get to do some ministry. Letha and I are headed to Rio Bravo, Suchitepequez, Guatemala. There is a very poor town there where people need help. We are part of a team that is taking in some much-needed supplies. By “much-needed”, I don’t mean luxury items that the people want. I mean basic food staples, without which there will be malnutrition. It is a humbling opportunity. We are very excited about it. Upon our return, I will try to post some pix and videos detailing the work. Thanks for praying for the people there. I am not sure about all of this. I don’t even pretend to understand it. But one quote from Kurzweil leaped off the page at me. “We won’t experience 100 years of progress in the 21st Century – it will be more like 20,000 years of progress.” With the rate of technological and scientific advancements increasing as they are, I have no doubt that, should the world be around for another 100 years, we will see change like no other time in history. I suppose the real question is: “will it be progress or just change?” There is a difference. OK. The jury is back. But I do think he is on to something when it comes to the exponential change we are about to experience. My advice is: Hang on for dear life! Someone recommended a great resource for those who have a hope to make a difference in their world by addressing social justice. Everybody Wants to Change the World: Practical Ideas for Social Justice was put together by Tony Campolo, and Gordon Aeschliman. All over the world—and in your community—people are lonely, hungry, sick, struggling to make ends meet, bitter, imprisoned, dying. Do you feel powerless to make a difference? You don’t have to be helpless! From the simplest acts of kindness to more complex works of mercy, you’ll find more than 100 practical ideas for compassionately responding to the needs of others. It’s all here, from suggestions about working with the poor to honoring and assisting the elderly; helping immigrants assimilate and supporting the sick; respecting and serving the disabled, showing compassion to those in prison, and caring for the environment. You’ll discover practical ways to begin making a difference in your community today, and helping others catch a vision for changing the world! A leader’s guide makes this adaptable for group study, as well as individual reading. Jesus calls us to creatively and courageously share the good news by loving our neighbor. It’s time to begin! You can read the Table of Contents and chapter one on this link. Order it, read it, implement it. Change the world. 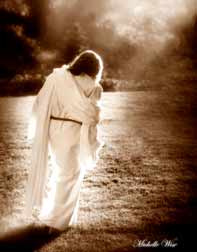 “This is how we know we are in him: Whoever claims to live in him must walk as Jesus did.” (NIV) 1 John 2:5-6. This chapter in the Bible is all about loving God and keeping His commandments and being obedient to Him. The straightforward truth presented clears us any misconceptions about what it means to live for and love God. It’s not a matter of talk. It is a matter of being like Jesus. Walk as Jesus walked. Talk as Jesus talked. Live in Him. It is important to know what you believe and to stick with it. I embrace a fairly strong set of convictions. We should be concerned when we go with the flow and are influenced by the latest and greatest, especially when it comes to issues of morality and ethics. That being said, the older I get, I believe the more mellow I become, at least in areas of: “I have an opinion on that!”. Don’t be mistaken, I still have plenty of things that I am willing to fight and die for. But some of the things I would argue over a few years ago – they just aren’t quite so important now. In fact, I am looking back at some of the issues I debated and defended not too long ago and I am embarrassed. I am embarrassed, not because I held to a conviction, or because I had a wrong opinion, but because I willingly allowed some of my convictions to drive me to harshness and what probably appeared to be cold-heartedness. I have been right in some debates and won some arguments, but I have lost in the long run. I was (working on making this past tense) more stubborn that I should have been. I was a pretty good arguer. When I got angry, I used really harsh words, cutting remarks, and came across as very aggressive. I had to win at any cost. What was the source of all of this? I was insecure. If I felt threatened, or as though I was not being respected, I was ready to fight. I had to be right in order to secure my place of authority. I have worked on this a lot and through trial and error, I have improved. As far as I am concerned, this is now rearview mirror stuff in my life. Hopefully, there are no U turns allowed. I have no plans of becoming wishy-washy or jelly-backboned. And please don’t push me in areas that are part of my moral makeup. But if you are looking for a fight, it will take more than what it took five years ago. There are still hills worth dying on, but just not as many of them. The old man is mellowing with age. Isn’t that what happens to fine wine? Katie Perry, who will in all probability win the Grammy for her song, I Kissed a Girl, has a Pentecostal background. Her interview by Katie Couric tonight on CBS revealed that her parents were Spirit-filled followers of Christ. The interview (below) left me wrestling with lots of questions. CBSnews.com says: Katy Perry may be known for her wild stage outfits and bi-curious ode to sexual experimentation, but it’s her parents, she explains to Katie Couric, who may be the real wild ones. “My parents have stories. They probably have better stories than I do,” she says in an interview on Katie Couric’s “All Access” Grammy Special, to be broadcast Wednesday, Feb. 4 (9:00-10:00 PM, ET/PT) on CBS. The daughter of travelling ministers, Perry reveals that despite their devout Evangelical beliefs, her parents have a past that’s more rock star than religious – her mother dated rock legend Jimi Hendrix and her father hung around with 60’s counterculture icon, Timothy Leary. Now the girl who grew up listening to the soundtracks of films such as “Sister Act” – 1 and 2 – and “The Preacher’s Wife,” is nominated for Best Pop Vocalist for her controversial chart-topper, “I Kissed a Girl.” And her parents couldn’t be prouder. I laugh when I am asked by so many people, “so what do you do on your day off?” It seems that lots of people want to know what a pastor does for a hobby. For years I have awkwardly tried to answer the question. In the past, I have spent a lot of time outdoors. While in Minnesota, we fished a lot, simply because it was convenient and relaxing. We left Minnesota and the 10,000lakes. I have spent a lot of time running. For years I ran trails and long distance races, some competitively. I had some back issues and had to quit running. Now, we have picked up a strange hobby. It doesn’t sound very masculine but Letha and I buy clothes for the kids in Guatemala. Most Fridays (our day off) we run around and look for bargains on clothes that we can take to the orphanage on our next trip. That’s why I laugh when people ask me what I do for a hobby. It usually takes too long to explain. And my male friends would make fun of me for shopping for a hobby. Oh well, it beats knitting!